Happy Holidays everyone! Of course I'm talking about our favorite two holidays of the year at NMS: Racer Gift Giving Day on the 25th of December, and the big January 1st Happy New Year of Driving Day! We hope your 2017 and 2018 will continue to be safe behind the wheel and on the street. Rather than complain about unsafe drivers in the rain without their lights on, and the ones that don't use turn signals, oh, and pedestrians that walk in the road instead of the perfectly safe SIDEWALKS, let's look back on our NMS highlights for 2017! In addition to the holidays, I'm a big fan of TOP TEN lists, probably thanks to the old David Letterman show and his sense of humor. As we near the end of 2017 and start thinking of driving in 2018, here's a quick look at our NMS TOP TEN events of the year, which were all rated very highly on the "HOLY CRAP THAT WAS FUN" rating scale. Heck, let's say 2017 was the biggest and baddest year in the entire history of NMS! Yep, all 5ish years so far! Instead of counting down to the top rated event, let's just start with the best and take it from there. As always, NMS reserves the right to have more or less than 10 items in any TOP TEN list. 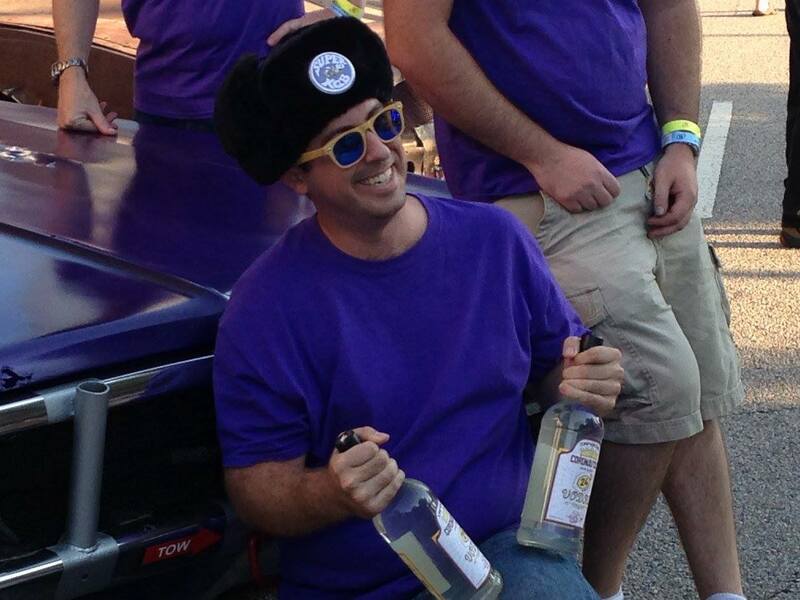 1: Brian and Team Coronautski competed in the 24 Hours of Lemons endurance race, and placed pretty well too! This is our highlight of the year because it was several years in the making, with Team Coronautski receiving the Coronet and working long term to get it back into racing condition. The Lemons Team-Coronautski story also gave us our post with the most hits this year, you can read Brian's wrap up below. 2: NMS-North took advantage of being in between careers for a few months, highlighted by one weekend that included a Friday tour of FantomWorks, a Saturday visit to the annual Moss Motorfest, and a regular autocross on Sunday. The Moss event took three posts to cover all the cars and the facility tour just by itself, and they don't even have a TV show on Velocity like FantomWorks! If that's not a great weekend, then we're doing something wrong. 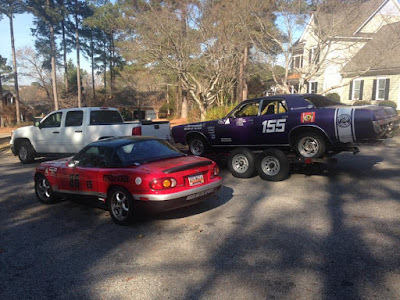 3: In addition to the Lemons car and the NMS Miata, Brian worked with two different groups of friends to buy, refurbish, drive, and compete in two different RallyCross (autocross on dirt) cars. As far as low budget cars go, this included two awesome fun-packed examples. 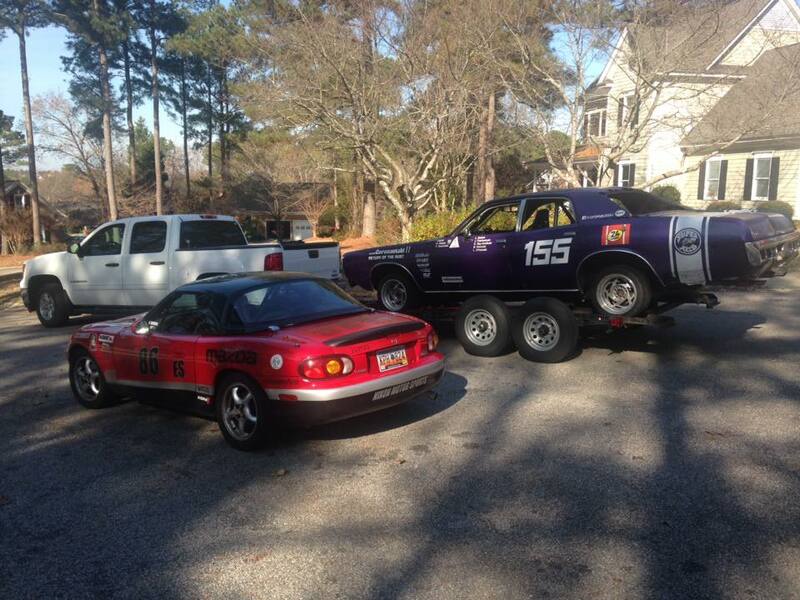 First up was the "Dirtie Dirtsun" 1982 Datsun B210 GX, followed by a 1996 "Probeable Cause" Ford Probe GT. Somehow both these cars were made to run, and then survive 4-5 drivers making runs all day long on the dirt in the South Carolina Region SCCA RallyCross series. 4: Both NMS drivers spent the "Sinko de Mayo" (That's Cinco de Mayo en Espanol) weekend driving on track at Carolina Motorsports Park, during two full days of a NASA High Performance Driver Education (HPDE.) In addition to the NMS Miata and Fiat, Brian took a turn in the Lemons Dodge Coronet. 5: NMS-North finished up their best season ever with the Tidewater Sports Car Club in the Virginia Beach area, taking the class win in H Street class, and nabbing a TOP TEN overall PAX placing. This club was a lot of fun to drive with in various events over the last three years. They always manage to have fun and cap it all off with a bunch of door prizes and driver awards at the end of the season, to include recognizing the top ten autocrossers for the year. Somehow I moved up in 2017, ending in 10th place for the club championship. The FIAT was out of the starting blocks very quickly this year, with a best ever 7th place PAX in the March event, and then kept the pressure on by raising the points total well over previous years. Yes, I AM showing off the HS champ and 10th Overall hardware! 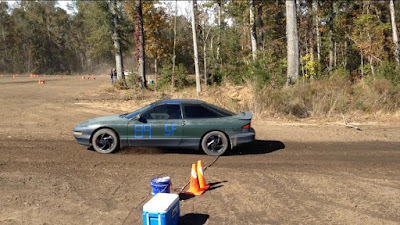 6: Down south, Brian competed in a variety of cars during autocross season, so while he didn't stick in one class, he attended a lot of events and did a lot of work behind the scenes. While attending a regional SCCA meeting, he even managed to get his photo in the SCCA official magazine Sports Car. 7: The individual Drive-Of-The-Year for NMS goes to Brian for not only driving in Lemons, Rallycross, Autocross, Track Night, and etc, but mostly for taking 2nd place overall PAX at the September SCR autocross. Robert was all set to nab this title after getting 7th PAX in March, but then Brian totally blew him out of the water with this drive in September! Believe it or not, he drove his own car, the NMS 1999 Miata (for a change) at Darlington along with 74 other drivers (we mean that 74 drivers in OTHER cars, not that all 75 people drove Brian's car!) 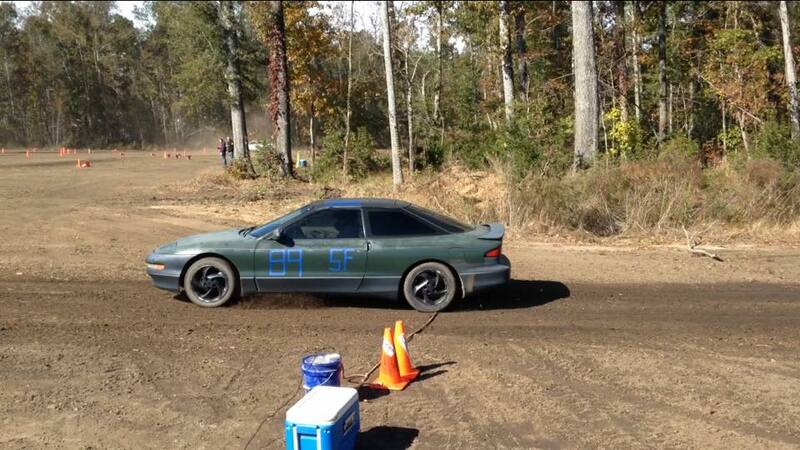 As far as we can remember this is the best ever result for Brian at any autocross event, so congrats! We've forwarded his resume to the Williams F1 team, and since they still have a seat open for 2018, we should hear back from them pretty soon! Don't be surprised if Brian is named as one of their drivers at a press conference coming up in January! 8: Vehicle wise, in addition to the addition and subtraction of some Rallycross and Lemons cars, NMS added a Chevy Silverado to the fleet for towing duty. We said goodbye to the orange Ford Fiesta ST in the South. and the 2000 Mustang in the North that had followed us home from an auto auction. Yes, they keep making more cars all the time, and the number of used cars out there is just staggering, but we're not really trying to buy and race ALL of them. 9: Brian also drove at one of the Sports Car Club of America's "Track Night in America" events at CMP, and had a great time with several informal track sessions. This lower cost and non-competitive type of event has sprung up nation wide in the past two years, and allows anyone to come out and do some track driving in their own car for fun. Compared to most competitive racing series that have a ton of rules and a higher cost of entry, the Track Night in America events are an easy way to get some more seat time. 10: Car shows. Lots of Car Shows. And Cars and Coffee. Abandoned Auto Auctions. A McLaren and Aston Martin dealership. We visited a lot of car events this year from South Carolina to New York. It seems that no matter how much you might know about cars, there are ten times as many more new things to learn. Shoot, they even keep making new ones every day too! With the future of the automobile changing and adding electric, hydrogen, self driving, and other new stuff, it will always be an interesting topic. For the record, we really stink at guessing sale prices at the auto auctions, but it's always fun to watch.